Even for those who are disillusioned and angry with the Democratic Party, or even apathetic about the outcome generally of the 2010 elections, Russ Feingold is one of the very few candidates whose re-election is genuinely worth caring about. No matter how bad Democrats generally become, Feingold's presence in the Senate provides unique and real value. I spoke with him for 15 minutes late last week about a variety of topics, including Obama's civil liberties record. The discussion can be heard by clicking PLAY on the player below. But before you listen, I'd like to review just some of the reasons for my view that Feingold's re-election is compelling and important, and why I strongly encourage donating to his campaign as part of his "Money Bomb" today -- here -- as he tries, within the confines of his self-imposed campaign finance limits, to defeat an extremist, multi-millionaire, right-wing candidate who will be as radically awful on civil liberties, secrecy and war issues as Feingold is great. I also quickly realized that two cautions were necessary, and I raised them on the Senate floor the day after the attacks. The first caution was that we must continue to respect our Constitution and protect our civil liberties in the wake of the attacks. . . . The second caution I issued was a warning against the mistreatment of Arab Americans, Muslim Americans, South Asians, or others in this country. Already, one day after the attacks, we were hearing news reports that misguided anger against people of these backgrounds had led to harassment, violence, and even death. . . .
As it seeks to combat terrorism, the Justice Department is making extraordinary use of its power to arrest and detain individuals, jailing hundreds of people on immigration violations and arresting more than a dozen "material witnesses" not charged with any crime. Although the government has used these authorities before, it has not done so on such a broad scale. Judging from government announcements, the government has not brought any criminal charges related to the attacks with regard to the overwhelming majority of these detainees. . . . But that probably would not be a country in which we would want to live. And that would not be a country for which we could, in good conscience, ask our young people to fight and die. . . .
That is why I found the antiterrorism bill originally proposed by Attorney General Ashcroft and President Bush to be troubling. . . . [T]he Congress will fulfill its duty only when it protects both the American people and the freedoms at the foundation of American society. So let us preserve our heritage of basic rights. Let us practice as well as preach that liberty. Feingold had successfully introduced numerous amendments which mildly weakened the version of the PATRIOT Act submitted by the Bush administration, and imposed at least a few added safeguards, but he still knew that these new surveillance and detention powers were excessive and lacked meaningful limits. Subsequent events in 2005 and 2006 proved how right he was, as even the DOJ's own Inspector General, along with media outlets, documented years of FBI and other federal agency abuse even against people who were not suspected of any crimes. Feingold spent the next eight years single-handedly waging a campaign to rein in the worst excesses of the PATRIOT Act each time its most extreme provisions were up for renewal, but was stymied first (in 2005) by the refusal of most Democrats to join him, and then (in 2009) by the Obama administration's refusal to support any reforms. On September 14, 2001 -- a mere three days after the attack -- he warned on the Senate floor of the dangers of having Congress act too meekly and submissively to the President or ignoring the Constitution ("If this is indeed to be a war, then the President should seek a declaration of war. We cannot allow our cherished Constitution to become a dead letter. And it should go without saying that to declare a war, he must identify our adversary. . . . Congress owns the war power"). Beyond that, he spoke of the dangers from the temptation "to point fingers at an ever increasing number of enemies, to believe that the 'the enemy' is all around us, that the enemy may even be our neighbor." Even in the immediate aftermath of the attack, he was one of the very, very few people in Congress warning of the dangers of over-reaction and abandonment of Constitutional limits. I became personally aware of Feingold's unique value in the wake of the December, 2005, revelation by The New York Times that George Bush had ordered the NSA to illegally spy on the communications of Americans without the warrants required by law. Despite the fact that Bush's actions were a clear felony under criminal statutes, Democratic pundits such as Joe Klein recited what quickly became conventional DC wisdom: that Bush absolutely did the right thing and that Democrats should refrain from criticizing the President if they knew what was good for them (read the last three paragraphs of Klein's January, 2006 Time article to get a sense of what the climate was back then). Meanwhile, leading Democrats (as usual) followed this craven advice, petrified to criticize Bush or even to state that this surveillance program was illegal. But in March, 2006, Feingold went on ABC News' Sunday morning show, pronounced that Bush's eavesdropping was "right in the strike zone" of the impeachment clause, and demanded that Congress at least formally censure Bush for breaking the law, announcing that he would introduce a Resolution calling for that sanction and hold hearings on it. For those of us who had been working for months to trumpet the dangers posed by this criminal eavesdropping program, Feingold's bold advocacy for formal proceedings was vitally important for keeping the scandal in the spotlight. When virtually all Senators in his own party, across the board, were scared to even comment on, let alone support, Feingold's Censure proposal -- and when Party-pundit-hacks like Ryan Lizza dutifully mocked him for being so stupid as to challenge George Bush on such an important National Security matter -- Feingold aggressively condemned his fellow Democrats for their lack of principle and cowardice ("I'm amazed at Democrats, cowering with this president's numbers so low. The administration just has to raise the specter of the war and the Democrats run and hide . . . too many Democrats are going to do the same thing they did in 2000 and 2004") and for being so cowardly beholden to Democratic consultants who tell them not to challenge Bush on national security issues. Mr. President, I strongly oppose H.R. 6304, the FISA Amendments Act of 2008. This bill will effectively and unjustifiably grant immunity to companies that allegedly participated in an illegal wiretapping program -- a program that more than 70 members of this body still know virtually nothing about. And this bill will grant the Bush Administration -- the same administration that developed and operated this illegal program for more than five years -- expansive new authorities to spy on Americans' international communications. . . . This result is extremely disappointing on many levels, perhaps most of all because granting retroactive immunity is entirely unnecessary and unjustified. Doing this will profoundly undermine the rule of law in this country. . . . This bill is a tragic retreat from the principles that have governed government conduct in this sensitive area for 30 years. It needlessly sacrifices the protection of the privacy of innocent Americans. And it is an abdication of this body's duty to stand up for the rule of law. All of this underscores what is the least appreciated aspect of Feingold: his unyielding independence. When he announced in November, 2006, that he would not run for President in 2008, I wrote about how and why he was one of the politicians least understood by the Beltway class. As demonstrated by the examples I pointed to there, they see him as some sort of standard, mildly left-wing partisan Democrat who takes the positions he does purely for political gain. The super-savvy Beltway mavens constantly and cynically scoffed that he was only opposing Bush's NSA program and other executive power abuses in order to satisfy the liberal base that he needed to run for President. Because these Beltway pundits and insiders believe in nothing other than their own careerist ambitions, they assume that everyone is plagued by the same nihilistic disease which infects them, and thus can't comprehend people like Feingold who are willing to sacrifice their political interests in pursuit of actual conviction. That, to me, is what is most impressive about Feingold's Senate career. He's not from some deeply blue state like New York or Massachusettes or Vermont, where he can step out on these issues knowing that he has a lifetime safe seat. The opposite is true. Wisconsin is a deeply purple state -- though Obama won it handily in 2008, Kerry beat Bush in 2004 by less than 1 point -- and Feingold himself has had very close re-election battles. He takes the positions he does despite the impact they can have on his political career, not because of it. Equally impressive is Feingold's placement of principle over party. As many of the above events demonstrate, he is one of the very few Democratic officials just as willing to criticize his own Party leaders when merited as he is Republicans -- not from the Right (like Ben Nelson or Joe Lieberman) but based on his principled commitments to these political values. He's a far more idiosyncratic and independent figure than is commonly understood (as evidenced by his recent vote against Obama's financial reform plan on the ground that enacting such a weak measure would do more harm than good in dealing with the menace of Wall Street corruption). As my interview with him demonstrates, he has been one of the earliest and most emphatic critics of Obama's continuation of Bush's civil liberties and executive power abuses. And his crusade against the corrupting influence of corporate money in politics has almost cost him his seat in the Senate, as he bravely applied his principles to himself by refusing to accept soft money in his very closely contested 1998 re-election bid. 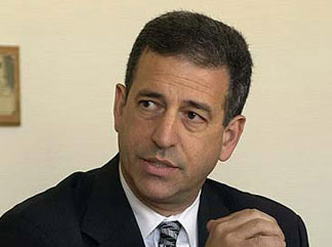 Incumbent Democrat Russ Feingold is one of the Senate's leading critics of the war. His expected GOP opponent, businessman Ron Johnson, not only supports the war but suggested in an interview Friday that Feingold's vocal opposition was undermining the war effort and was inappropriate for a sitting senator. . . .
Feingold has been far more vocal about Afghanistan than any other candidate interviewed for this story. . . . In an interview last week, he called Obama's decision to "double down" in Afghanistan a "serious policy misjudgment." . . . . In an interview Friday, Johnson said he supports Obama's decision to increase troop levels in Afghanistan, but he criticized the president's talk of a timetable for troop reductions, saying if the local Afghanis "fear we're going to pull out, they don't have any incentive to side with us" . . . .
Johnson's most pointed comments were directed at Feingold, saying that when he and other senators "come out and start demanding a U.S. pullout and that kind of thing in public, it just undermines what our troops are trying to do." Said Johnson: "That's not saying if you have real grave concerns as a member of Congress you should not be talking to the administration. It's just extremely harmful to our nation when it's all done in public." Asked whether he was saying it's improper for Feingold or other senators to be speaking out publicly against the war, Johnson said: "I guess what I really object to is how quick and early he has been throughout his career (to criticize military action) . . . he has been carping about this from the sidelines forever." Johnson then repeated his suggestion that when there are troops in the field, lawmakers opposed to U.S. policy should be expressing their opposition in private rather than in public. "There's an appropriate way of opposing a policy and an inappropriate way," he said. "The appropriate way if I'm a U.S. senator is going to be not public. If I'm opposed to something, I'll make those views known very, very well, but privately with the administration." It's almost hard to imagine anything more undemocratic than the view that political officials should not debate American wars in public, but only express concerns "privately with the administration." That's just a small sliver of Johnson's radicalism: replacing Feingold in the Senate with Ron Johnson would be a civil liberties travesty analogous to the economic travesty from, say, replacing Bernie Sanders with Lloyd Blankfein. Feingold is not a perfect politician; nobody is. There are issues where I disagree with him. But the serious value of his being in the Senate is due not only to his positions on specific issues, but to the type of individual he is. No matter how disgusted one is with the Democratic Party, his being in the Senate enables these vital issues and critiques that nobody else expresses to be heard -- including those aimed at his own party (see here and here) -- and often single-handedly prevents their being suppressed. His positions on the Judiciary and Intelligence Committees and their various sub-Committees empower him to force an examination of surveillance, secrecy, Constitutional and rule of law issues that would otherwise be ignored. There are very few politicians this year whom I would encourage others to support in any way, but I really believe that a Russ Feingold loss would be a devastating blow to most of the political issues I write and care about. My discussion with Feingold can be heard on the player below (he was on a cellphone, so it's best heard using earphones, though the sound quality is decent and a transcript will be posted shortly). Given his opponent's personal fortune and the fact that Feingold -- as an enemy of unfettered corporate money and influence in politics -- relies on small donors, donating to his campaign is vital to helping him win. Those interested can do so here; a successful Money Bomb day will go a long way to helping Feingold return to the Senate. UPDATE: Several readers have reported problems listening to the podcast interview. Salon is working on the problem and it should be fixed very shortly. I will add a note once it is. UPDATE II: The player has now been fixed and should work for everyone. UPDATE III: The transcript of this interview is posted here. An MP3 can be downloaded here. Also, please note that the actual Money Bomb date for Feingold is tomorrow, but everyone here is encouraged to continue contributing today. The response has apparently been quite enthusiastic, and I hope it continues. It's well-deserved.